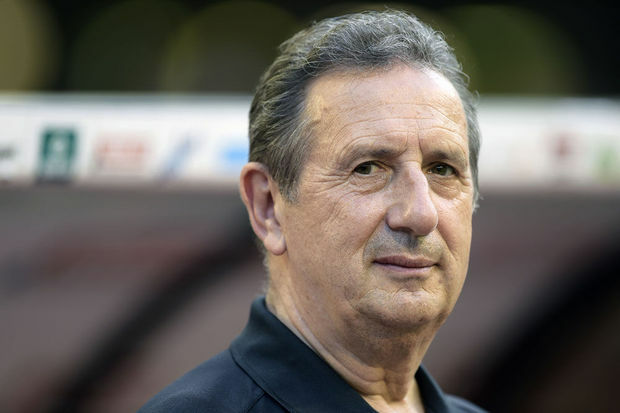 New Fennecs of Algeria coach, Georges Leekens has released names of 18 foreign based players for the upcoming 2018 FIFA World Cup qualifiers against Nigeria’s Super Eagles billed for November 12 inside the Godswill Akpabio International Stadium in Uyo. The Belgian announced the list at a press conference on Tuesday which include Antalyaspor goalkeeper, Rais M’Bolhin (the only goalkeeper on the list) Leicester City duo of Islam Slimani ans Riyad Mahrez. Others include, French-born Bordeaux midfielder, Adam Ounas, Dinamo Zagreb of Croatia forward, El Arabi Soudani, Olympique Lyon winger, Rachid Ghezzal, among several others. Nigeria has since released list of the 24-man squad that will prosecute the forthcoming qualifiers against the highly ranked Desert Foxes in Uyo. Meanwhile, Nigeria currently leads the Group B table with three points after match-day one, while both Cameroon and Algeria are tied on one point. Strikers: Islam Slimani, Riyad Mahrez, Adam Ounas, El Arabi Soudani, Rachid Ghezzal.